The 656 pigeons (162 foreign 494 local) that survived the hard Hotspot 3 race were basketed amid a large group of fanciers wishing to see the condition of their birds when the ring numbers and owners? names were called. They could only see but no touching while the handlers showed d them the birds in close range. The transporter left the building at around 4.00 pm with two drivers and one police officer accompanying. The birds were liberated the next day from the lower part of Chiangmai at 7.20 am, a bit late due to light fog that reduced visibility. In Bangkok, people were enjoying the first day they could really felt that winter was coming and early arrival of the pigeons was expected. ?By 2.00 pm all the seats were taking by hopefully participants. They were going to be disappointed as temperature kept rising up to 33-34 Celsius in the afternoon. By 3.00 pm which was the time the first pigeon arrived last year, people started to realize that it was going to be a tough race and kept calculating the reducing speed every minute the time passed by. The speed per minute would be reduced by about 16 meter every ten minutes. Finally, at about 17.04 pm, two pigeons were seen arriving from the southwest direction and spinning a couple rounds before one of them, a blue bar hen, dropped and sat on the loft. The cheq one kept spinning for about a minute more before dropping and running straight into the loft enticing the blue hen to follow and timed in second, 14 seconds after the cheq hen. 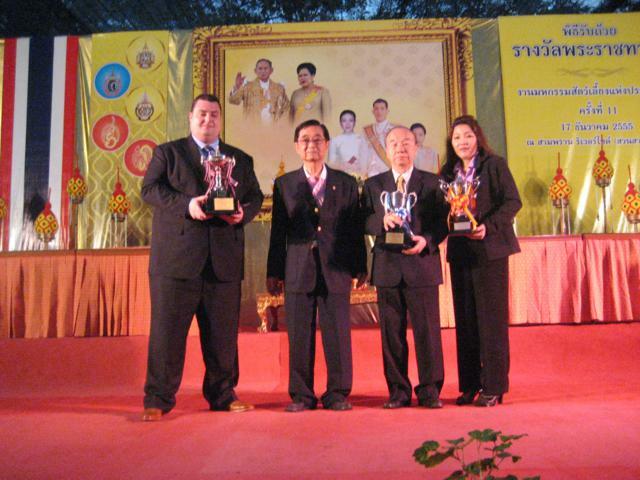 The names of Cooney Gang Syndicate UK and Mr. Thongsuk Chuprachuk from Thailand appeared on screen as winners of the first and second prize respectively with speed per minute of 954.339 and 953.968. The third pigeon arrived some 20 minutes later but sat on the roof for five minutes before timed in at 17.31.18, speed 916.063 mpm. This bird was entered by Mr. Sornthep Gomutputra, owner of the famed Blue Blood Loft. There was no more pigeon returning and thus only three birds could make it in one day after flying almost ten hours. 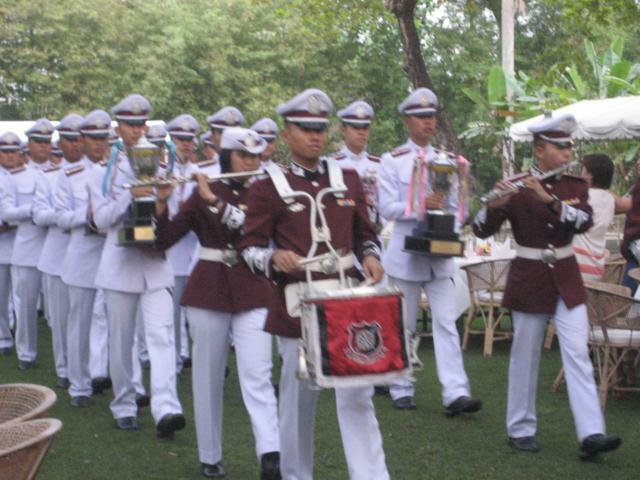 ?The first pigeon to return the next day at 6.41.51 a.m. was also entered by Mr. Sornthep. It was 22 minutes ahead of the second bird. ?At 12.00 am which was the official closing time of the race, there were only 44 pigeons that had come back. The 66th pigeon or the last of the first ten percent was timed in at 13.34.03 pm at speed of 269.541 meaning the bird spent more time resting than flying. In all, there were only 89 birds that had made it in two days and 111 birds after three days. All eight pigeons that had won the three top prizes in three hotspot races were lost except for the first prize winner from 450 km of?Mr. Jia Biao.? ?Given the unusual outcome of the race, the Committee has decided to give the money prizes to all the first 60 birds?regardless?of the official closing time. Although there were a few occasions when just only 2-3 day-birds returned in one day in the past one loft racing in Thailand, this final race was the most difficult one in our own experience. ?The reasons: ?one was the fact that this year had been one of the hardest seasons for pigeon racing in all club races with heavy training and racing losses and delayed arrivals. ?Secondly, there seemed to be a shift of season when winter had never reached the lower central part and Bangkok until mid-December. Prior to that, there were always rains, high temperature/humidity and cloudy sky. Thirdly, in the morning of the race day after the birds were released, it became foggier in the province such that the airport was inoperative and pigeons could not find the way out losing time and energy. 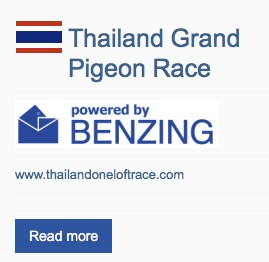 Had our final race been staged only a week later, the story might have been completely different as a Queen Cup race from upper Chiangmai 590 km organized by another friendly club was a speed race of over 1450 mpm and was also won by the Blue Blood loft with 1,568 birds competing. While most people were disappointed with the no-show of their birds, the happiest man of the moment was definitely Mike Cooney from Manchester, England. His beautiful cheq hen GB12-V 47886 won for him the First prize among foreign participants and 27,000 Euros. 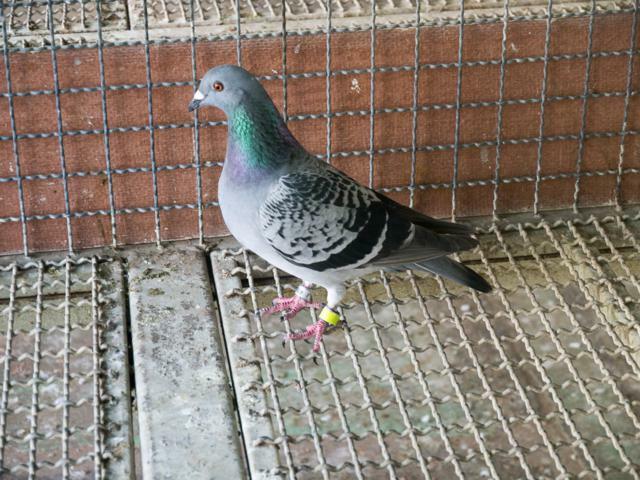 It was one of the only three pigeons in this race that came with the first group of 12 pigeons in Hotspot 3 and scored 5th position. The pedigree shows top lines of middle distance pigeons such as Kees Bosua, Van Loon, Verkerk and Reyneart. It is a living proof that a good middle distance bird bred in Europe can also win in out tough condition. 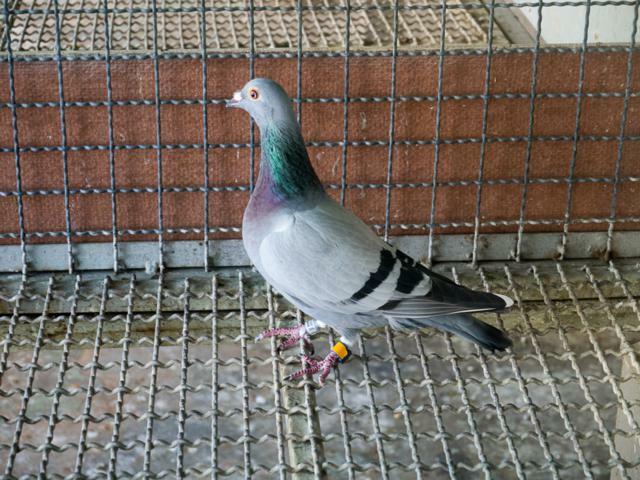 This pigeon was sold in the auction for 15,000 Euros with no price fixing to artificially inflate the auction price for publicity purpose. 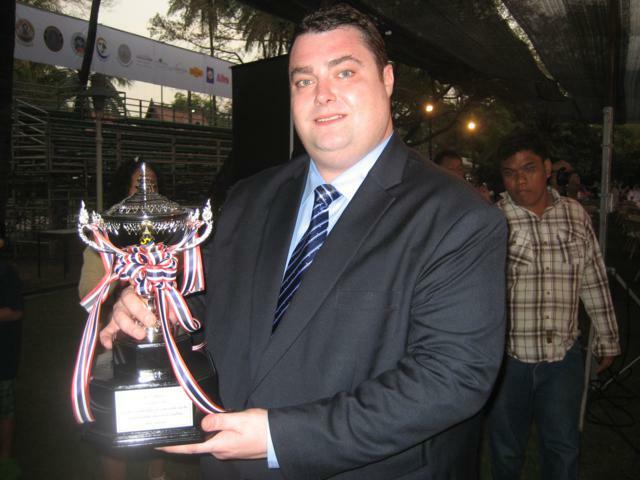 The second happiest person was of course Mr. Thongsuk Chuprachuk from Thailand whose second prize and Queen Cup winner, losing first by only 14 seconds, would going to be named ?Pretty Sitter?. ?Thongsuk?s pigeons descend from the decades old imports of Albert Monin, Marc Roosen, etc. They fly best in tough weather and always perform well in our final races the past five years. The third prize winner is Mr. Sornthep Gomutputra whose beautiful blue male pigeon R12-155106 also spent 5 minutes on the roof showing no sign of fatigue. The father is an imported Guy Bart and the mother from local source. 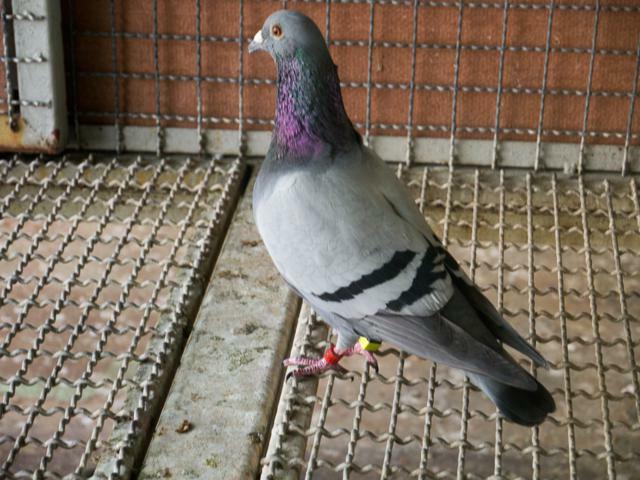 This pigeon also won the 12th position in Hotspot 3 and 96th in Hotspot 1 and thus ranked 2nd in ACE pigeon competition. 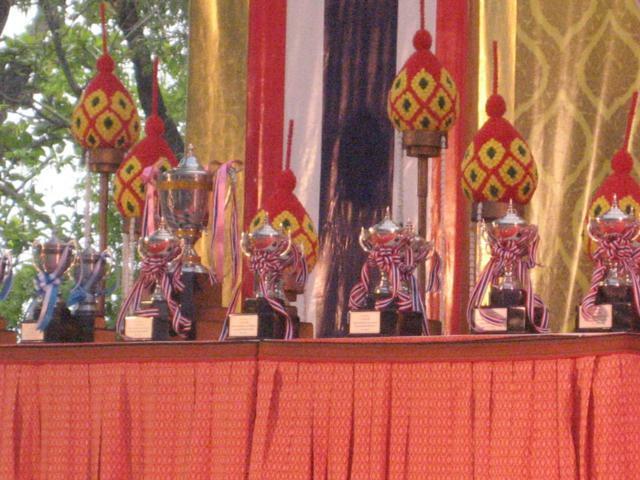 The fourth prize pigeon came back early next morning also belongs to Mr. Gomutputra who had 5 pigeons in the first 27. ?First Ace Pigeon title with coefficient 283371 goes to R12-144427 belonging to Prapat-Prapon-John. She scored 76th in?Hotspot,?2nd in Hotspot 2 and 6th in the final. This pigeons went to China at an unbelievably high price making the trio smiling all the way to their bank with the money they also won from big pool. It is noteworthy that the Kuwait teams, despite their unusual loss by disease and accident, had two pigeons in the top ten. Mike Ganus and family flew in for the first time, couldn’t?be much disappointed waiting for a long time when his pigeon came in 7th not counting his great achievement in hotspot races. 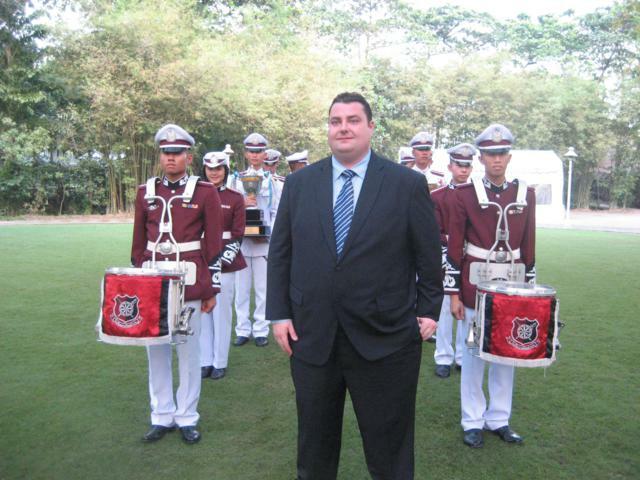 For the people who won the royal trophies, they had to go to the award presentation ceremony presided over by a member of the Privy Council at the Rose Garden. Only Mike Cooney could best relate that experience of his life time and how great the affair was arranged.